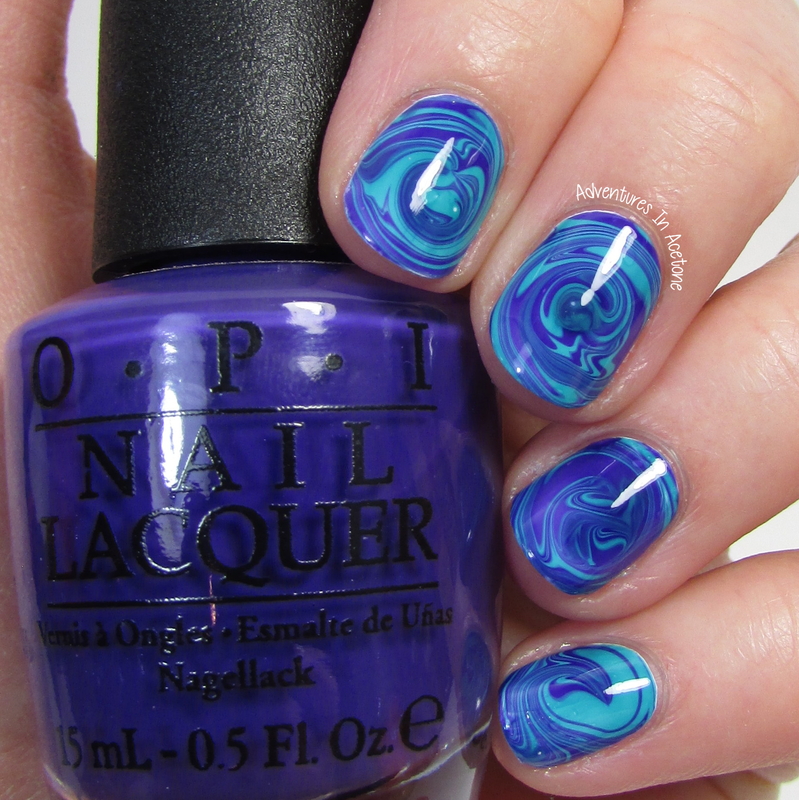 The Digit-al Dozen DOES New & Improved, Day 1: Spiral Watermarble Nail Art! Good evening, readers! It’s the start of this month’s Digit-al Dozen week and the theme is New & Improved! That means we are trying new techniques or recreating some older manis! Are you excited? For my first mani, I attempted something I’ve been wanting to for a long time: the spiral watermarble. I’ve seen it all over, but Madam Luck recently posted another video tutorial to IG and I knew it was time to give it a go. While it’s not the perfect spiral I was going for, I am really proud of this first try! I began by painting one coat of Funky Fingers Gesso on all of my nails and letting dry. Next, I protected my skin and finger tips with Girly Bits Border Patrol latex barrier. 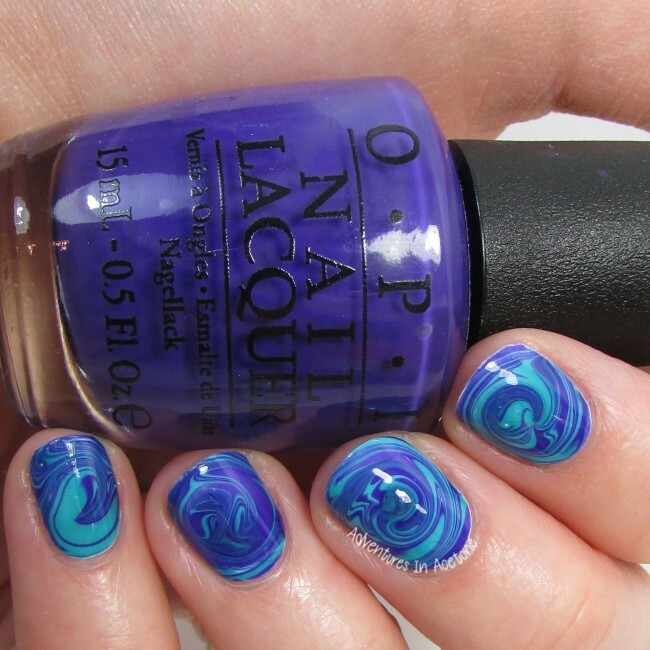 For the water marble, I used OPI Fly and OPI Do You Have this Color in Stockholm? They were topped with a coat of KBShimmer Clearly on Top. What do you think? Have you tried a spiral water marble before? Check out what the other Digit-al Dozen ladies did for Day 1 below! Welcome the new girls as well! SO gorgeous!! You have this technique down pat!! 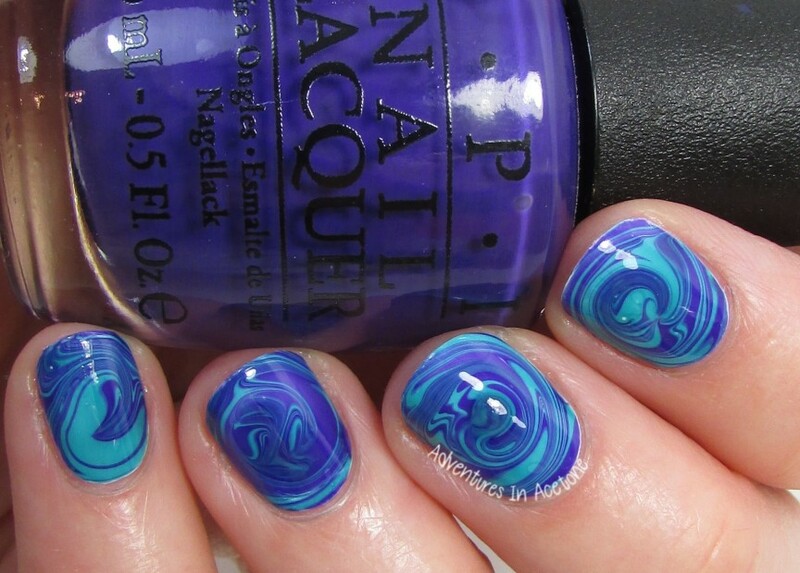 These are gorgeous, they remind me of whirlpools! These are stunning! I love the colors that you chose! Looks great! I haven’t tried this yet; hopefully some day! I only ever do one kind of design when it comes to marbles cause I mess up so much haha. But these are so gorgeous, I am so tempted to try it out now!